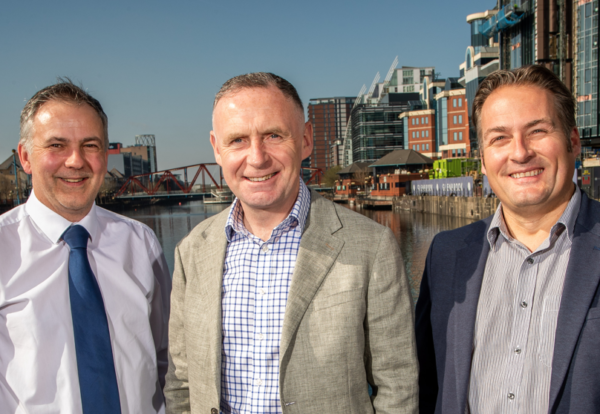 Morgan Sindall Construction has strengthened its North West leadership team with new area directors for Liverpool and Manchester. 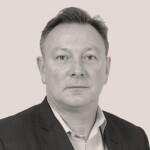 Industry veteran Shaun Jones will run Manchester operations bringing over 30 years experience mostly working in the region. Jones joined from north west builder H T Forrest where he worked for 12 months. Before that, he was latterly north west operations director for Carillion, after a long career that started with Alfred McAlpine. Richard Potts, who has been with Morgan Sidall Construction since 2014, was promoted to area director for Liverpool from senior operations manager. During his time at the group, he has overseen the delivery of a range of schools through the Priority Schools Building Programme, as well as Bupa’s 148,000 sq ft office at Salford Quays. The appointments were made by Barry Roberts, less than a year after he was promoted to become North West managing director for Morgan Sindall Construction. On Merseyside, Morgan Sindall is delivering significant projects for Liverpool City Council at the Paddington Village Central site in the city’s Knowledge Quarter. It is currently onsite delivering two schemes, with significant upcoming developments including a new £35 million 160 bed hotel and a 60-bedroom upscale aparthotel. Morgan Sindall has also recently been appointed to transform the former Royal Mail building on Copperas Hill into a teaching hub and sports centre for Liverpool John Moores University. In Greater Manchester, work began last October at the third build-to-rent block at English Cities Fund’s Slate Yard residential project in Salford. When complete, the £34m, 21 storey tower, located within the New Bailey development, will comprise 199 one, two and three bedroom homes. Work is also progressing on site at Manchester Metropolitan University’s Arts & Humanities facility whilst pre-construction activities are progressing at Salford University’s School of Computing, Science and Engineering project.